Purple is one of the most popular colours for weddings and these striking purple silk box designs will enhance any table. 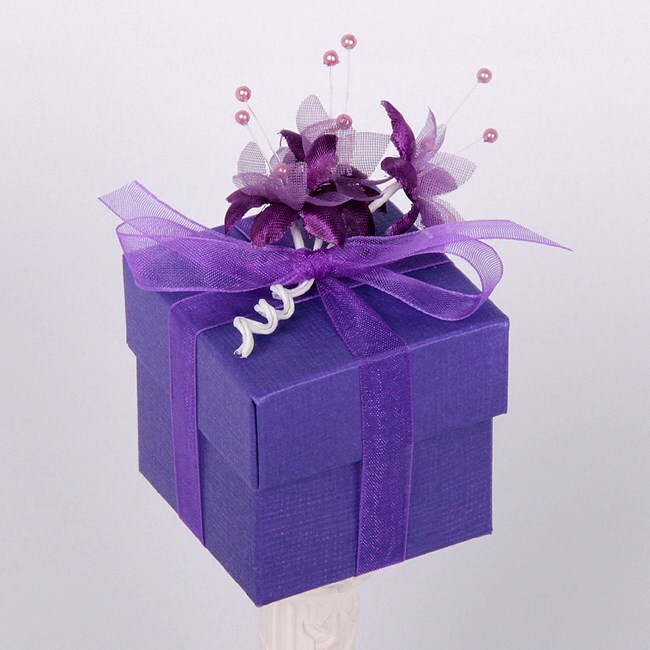 Each box has a subtle textured finish and decorated with stunning purple babies breath organza and pearl flowers tied with a purple organza ribbon. Size.5cm x 5cm x 5cm.